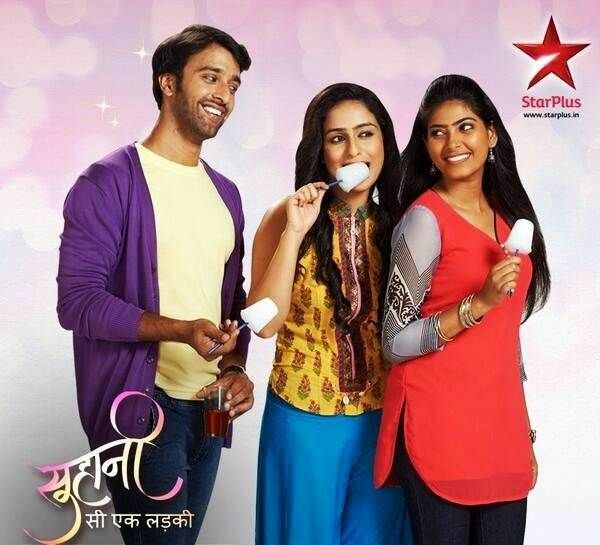 Suhani Si Ek Ladki 11th April 2016: Suhani and Yuvraj are spending their lives separately in new series ! Suhani Si Ek Ladki: The series of SSEL had taken a total 360-degree turn in the recent days, Suhani and Yuvraj had been separated and no longer together. Suhani is forwarding her career in fashion designer industry with Sharad while the family believes she is no more. Suhani tries to mimic film stars and make them laugh. Gold, Bhavna comes there, and they started Yuvaan birthday celebrations. Yuvaan cut the cake with his mother. He remembers his father and tells that the extra cake would keep for his father, Suhani goes emotional. Sharad gives him a gift. Bhavna insists Suhani tell Yuvaan wherein his dad. The very next morning, Suhani wakes up and gets concerned as Yuvaan was not with her. Yuvaan writes a letter to his father and rejects to show it to anyone else; he hides the letter from her. He came and started acting like sleeping, Suhani checks the post box and found Yuvaan’s letter. He wrote in the message about his achievements till his 5th birthday; Suhani gets emotional on reading that. In the Yuvraj’s house, Rama, the maid, prepares Yuvani ready in the school uniform, Pratima comes and praises her. She objects that she didn’t like this school clothes, Krishna comes and tells her that she is looking good. They both gets ready with sunscreen cream and fairness cream. Yuvani gets happy after that. Bhavna prepares breakfast for the family; Sharad makes Golu have some more of it. Golu and Yuvaan had a small cat fight, and Bhavna informs everyone that they are going for vacations. On being asked for the mirror, Suhani tells Yuvan to look in her eyes. Suhani and Sharad discuss the problems within the family that they could not get Yuvaan met with his father. Golu and Yuvaan sees an advt in the newspaper about a food court, he asks her for permission to go. Suhani rejected as Yuvaan won’t go anywhere without her. Yuvaan gets annoyed as, despite repeated approaches, Suhani keeps ignoring him. Bhavna tells she can’t let him go anywhere. Menka comes to Krishna, Soumya asks for the reason. Menka goes angry after seeing Rags and Menka’s picture with a garland on it. Menka scolds Rama for making this blunder mistake. She goes and places the garland in Gauri’s portrait. Rags comes with Menka’s baby and argues for holding her son for sometime, she refuses. Krishna hugs Rags. Rags got annoyed and got away from that place. Soumya insists Krishna get ready for school. Soumya informs Krishna that baby was of Menka. Yuvraaj waits for Yuvani in the lawn. Soumya comes with tiffin for Krishna. Dadi advises Yuvani to not to take part in the race for staying beautiful and permits Krishna to take part in the race. Yuvraj took them to school in car. So far in Suhani Si Ek Ladki a total makeover had been seen where the things had completely changed. There is a good news, Ekroop Bedi is all set for comeback. i am in love with this show. makers, please make it a little more interesting.